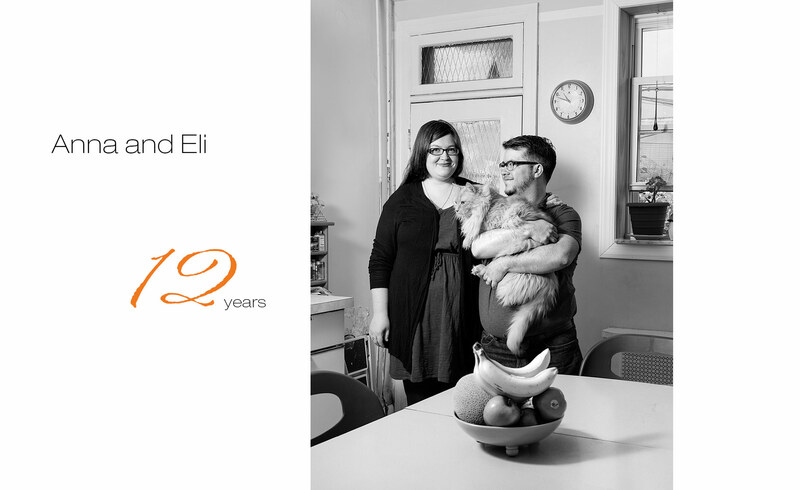 Anna and Eli, trans couple, together for 12 years. Eli transitioned during their relationship. Photographed in their home in Philadelphia with their cat Henry.